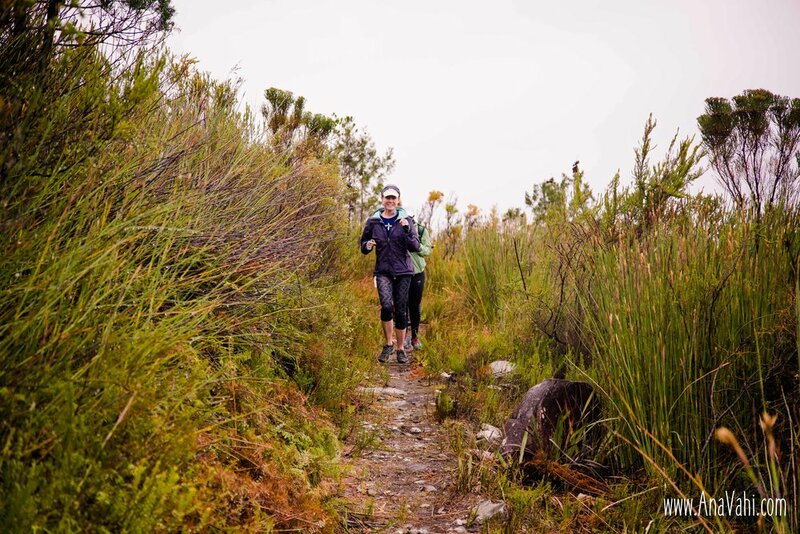 Mixed feelings - when your province is stuck in the worst drought in 100 years but it's the first day of the Southern Cross Trail run and it would be really amazing if it stopped raining. Fortunately the bulk of the rain fell during the night but the drizzle was still heavy enough to keep the SOX faithful huddled snugly inside the SAN Parks cabin. 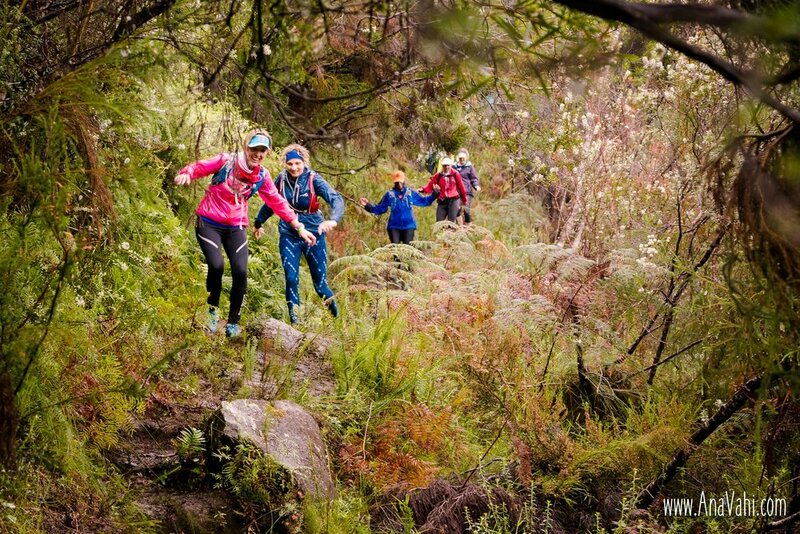 But they don't call us trail runners for nothing and soon we were off, albeit on a slightly truncated first day. Instead of the planned 34km the stage was reduced to 24km. But soon we were climbing, it was the mountain stage after all! After the climb, it was time for some single track, yay! After slipping and sliding our way down the hill we reached our first river crossing. So we trudged on, slowly nudging ourselves upward. Luckily there was always time for a laugh or two. Eventually we reached this most beautiful sign, directing us in a non-up direction. Then it was only a short descent to the aid station. 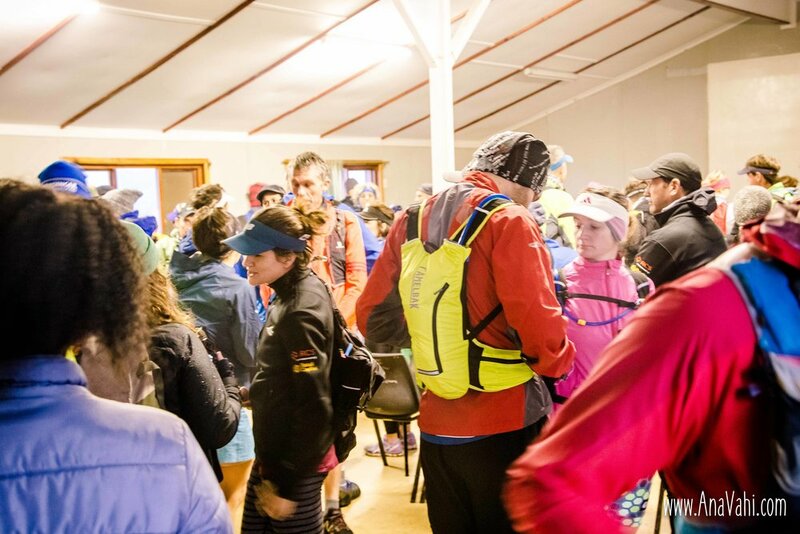 The aid station was nestled on a ridge in the mountains, a stunning location! We had about 10km left to go to the finish, and most of it was downhill - starting with a lovely single track meandering down the side of the mountain. This led us to a jeep track that continued to wind down the mountain. Soon we could see our destination, the hamlet of Karatara, in the distance. We continued on a forested jeep track. That led to Karatara and the finish - Day 1 of Sox 2018 done and dusted! 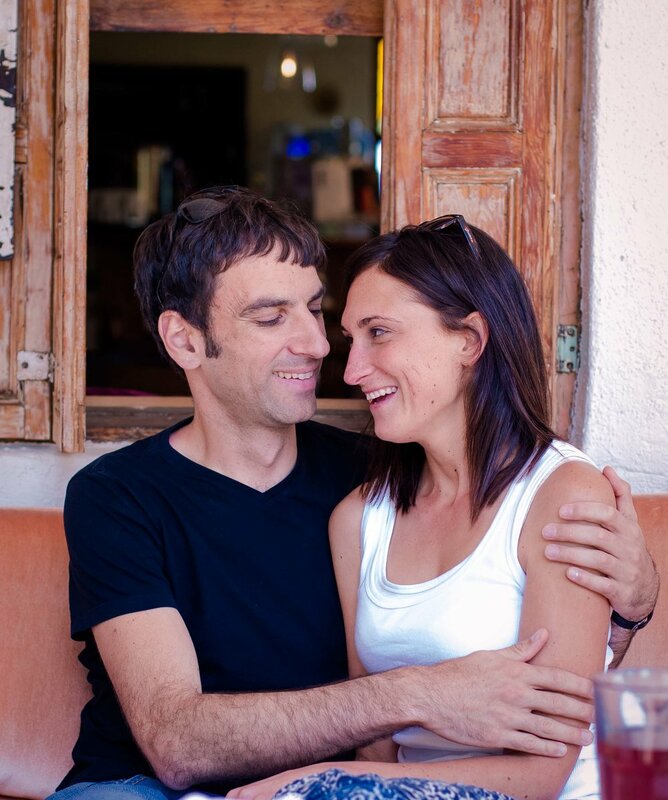 Big shout out to Emma Rorke of EL Rorke Photography for the fantastic image below. You can check out more pics on her Facebook page, Elorke Photography. 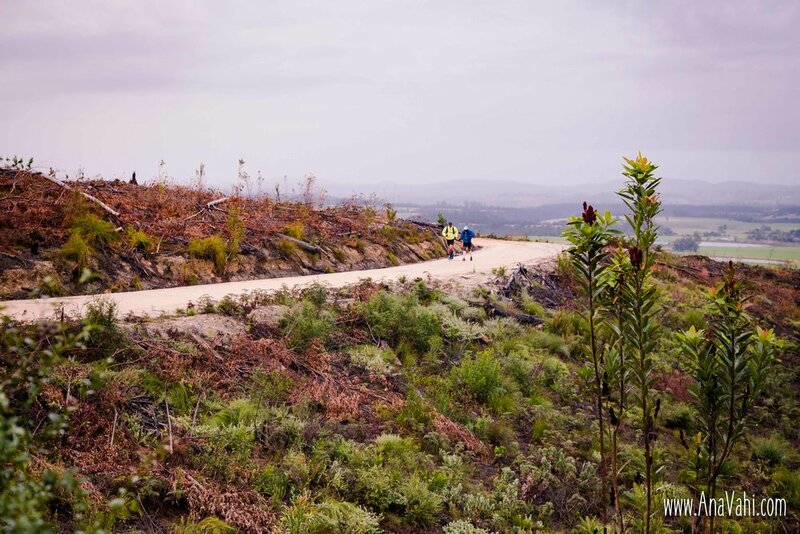 Next up, Day 2 and the Knysna Forests... read all about it here!